The monument is a granite block with a gable shaped top on a single base. It is surrounded by a patio made of stone pavers. Engraved along the gable top on the front side is the coat of arms of the five military services with their names incised beneath. The front inscription appears inside an incised border in the shape of a shield with a block shaped American Eagle at the top. The rear inscription also surrounded by a shield shaped border and includes the crest for the Veterans of Foreign Wars. Between this marker and one dedicated to law enforcement officers killed in the line of duty are three flag poles; carrying United States, North Carolina and POW/MIA flags. This monument is identical in design to the Alleghany County Veterans Memorial in Sparta. The front face inscriptions on both monuments are also identical. 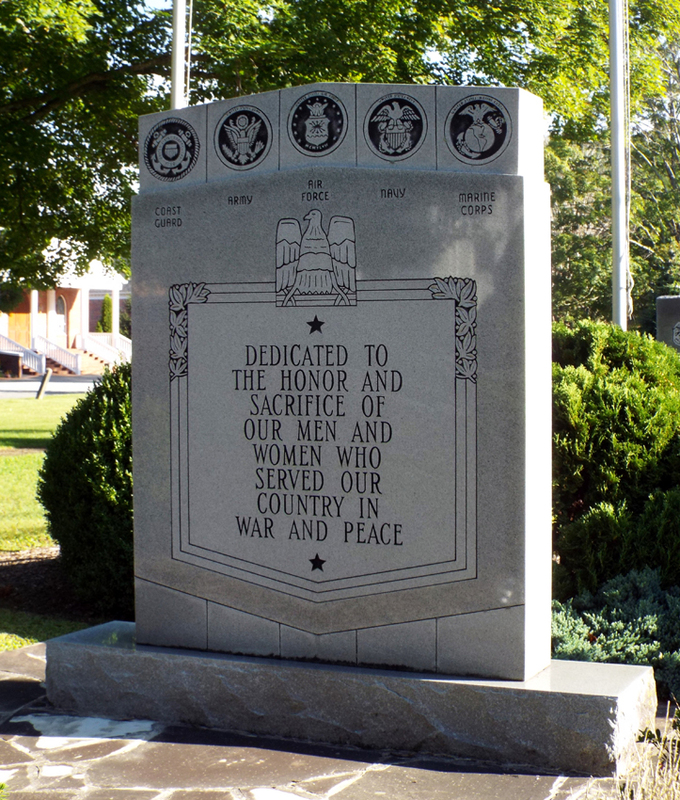 The memorial is located on the Newland Town Square across the street from the Avery County Courthouse, at 200 Montezuma Street in Newland, NC. The Avery County Law Enforcement Memorial is right behind it. September 11, 2001 Memorial is located right across the square from the marker. The memorial stands in a well maintained park in the center of Newland. Shrubs have been planted around the monuments which are shaded by large trees. 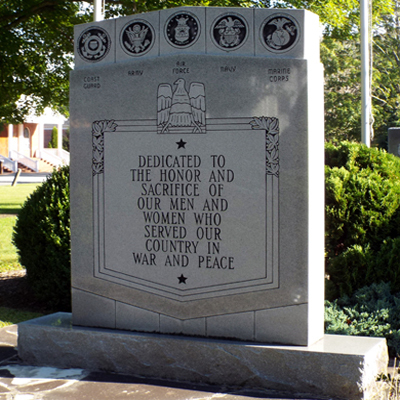 Annual Memorial Day celebrations are held on Newland Town Square in front of the memorial.